So, we decided to head back to the beach for round 2! Just the three of us. It was our first family trip I guess you could say! 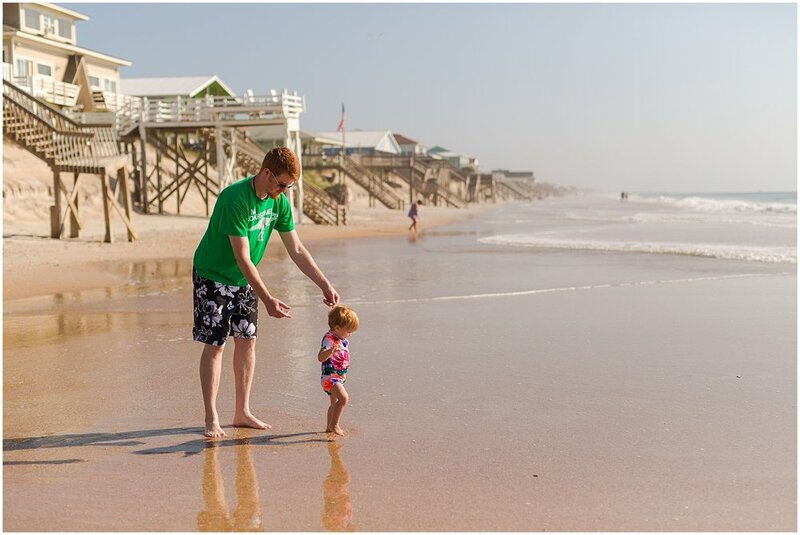 Neither Erik or I had ever been to Topsail Island, but we'd heard good things. 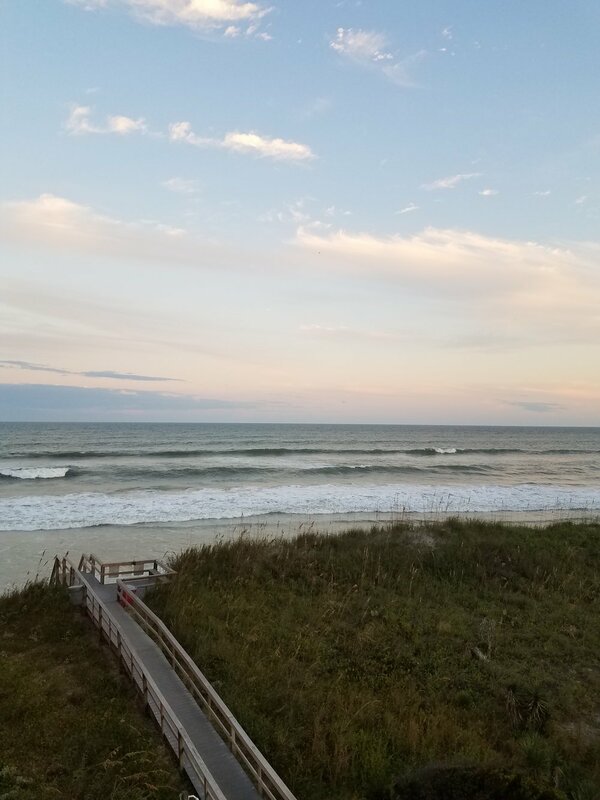 My parents were very worried that we would choose to travel to the beach during this crazy hurricane season, but man it really worked out well for us! We got a great deal on an oceanfront condo. Willow got her own bedroom which made sleeping a lot easier for all of us. It was a one bedroom condo, but they had a loft space in the living room that had a queen and a twin bed, so naturally Willow enjoyed the master bedroom all to herself! Haha it worked out well that way, and we spent a lot of time on our deck. 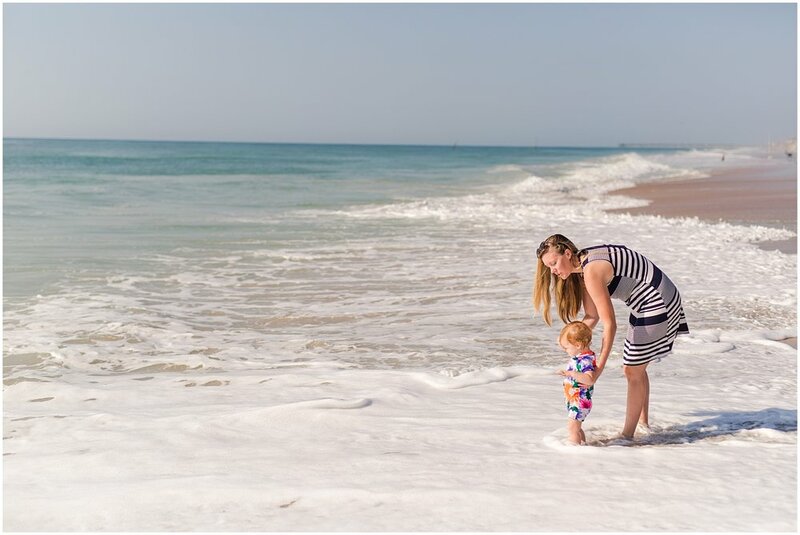 It was so close to the ocean, which was so nice for us because when you have a sleeping baby you can't go anywhere! So during naps and every night post 7pm, we could at least feel close to the beach and enjoy the sight of the water and the sounds of the waves. Even with the doors shut, I could listen to the ocean when we fell asleep every night. It's been a long time since I've been in a beach house close enough where I could do that. We realized how important being oceanfront was to us now that we have Willow. 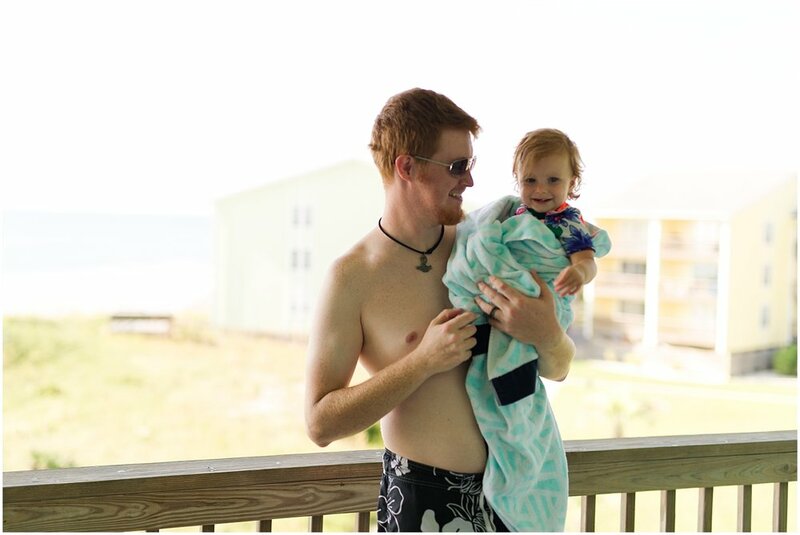 It's so much easier to just pop her down to the beach or the pool for quick trips, rather than take her and a bunch of stuff and try to "make camp" for the day. We'd get her in her swimsuit, grab a towel and a key, and we'd go! 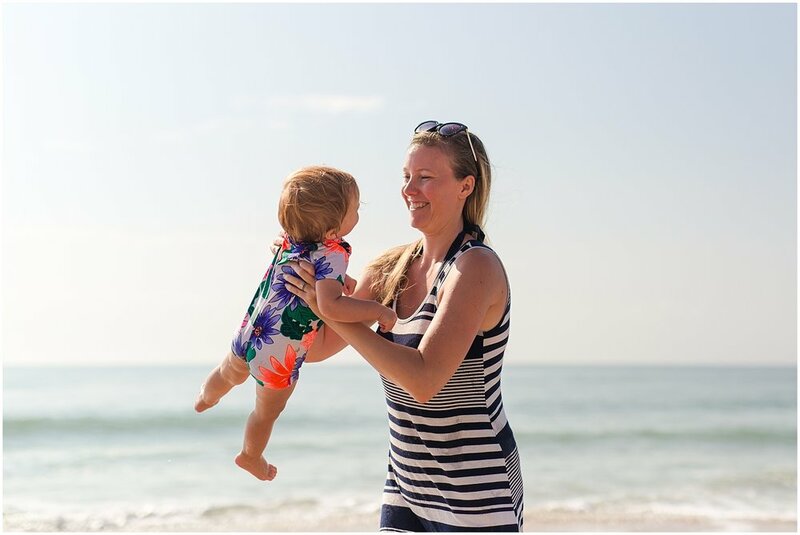 The other great thing about having such easy, quick access to the beach and the pool was that with quick trips, we never worried about sunscreen! Can you believe I went to the beach with two gingers and not one of us got a sunburn? I'm pretty proud, I must say. We quickly settled into a routine of getting up in the morning, eating breakfast, visiting the beach and then visiting the pool. Then we'd have lunch and a nap. After naptime, we'd usually head out for some sort of exploration of the island. We'd either visit some shops, get some ice cream, visit the pier, go play at this really cool park they had along the sound. And then after that, we'd go out to dinner somewhere and get home in time for some balcony hanging and then bedtime for baby. It was slow and perfect. Because of the crazy hurricanes we've been having, the ocean was wild. We had Willow with us all the time so we never really went swimming in the ocean anyway, but just standing in the surf, you could feel how strong the current was. And the high tides were SO HIGH. When we first surveyed the beach the night we arrived, the water was actually splashing against the steps leading to the beach! We were afraid that we'd somehow chosen a beach that had no actual beach! But that of course turned out not to be true, and the freakishly high tides were not normal. I learned this when I went out one night to do this incredible nighttime yoga class on the beach. The yoga instructor was laughing at how little beach we had to work with (she kept getting splashed as she was at the front closest to the ocean haha). But she assured me, the only non-local at this class, that this was not at all normal but that the surfers were loving it! We had so much fun. I'm really glad we went back and Willow got some more time to enjoy the beach. She seriously loves it. 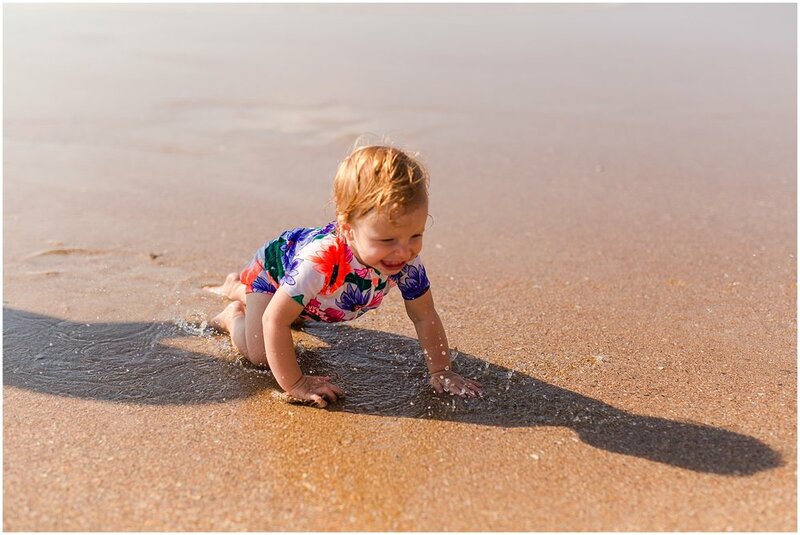 I think people just assume you're exaggerating when you say something like "my baby loves the beach!" 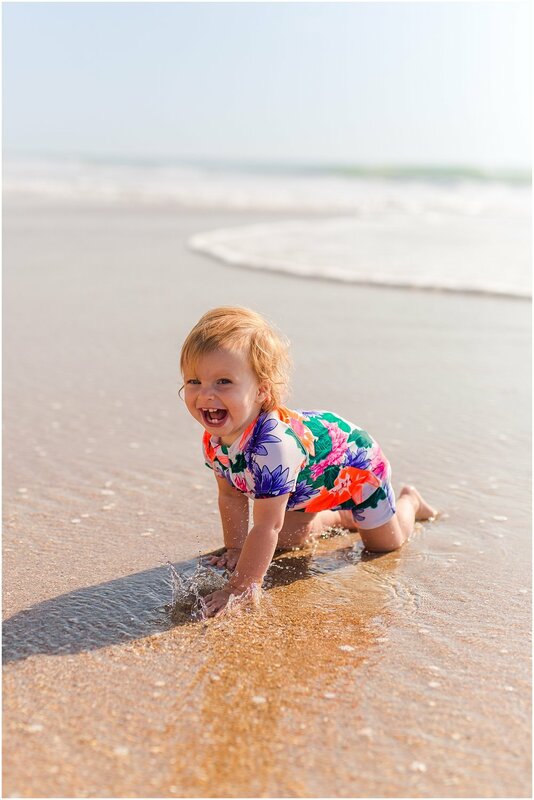 But no, really, my baby LOVES the beach. You can tell from the pictures! Haha. She has no fear of the ocean at all, no matter how many times it knocks her down and she gets salt water in her mouth. Erik made it a game and when that happened, Willow would victoriously spit all the water out and roar like a little lion and she was happy as could be. 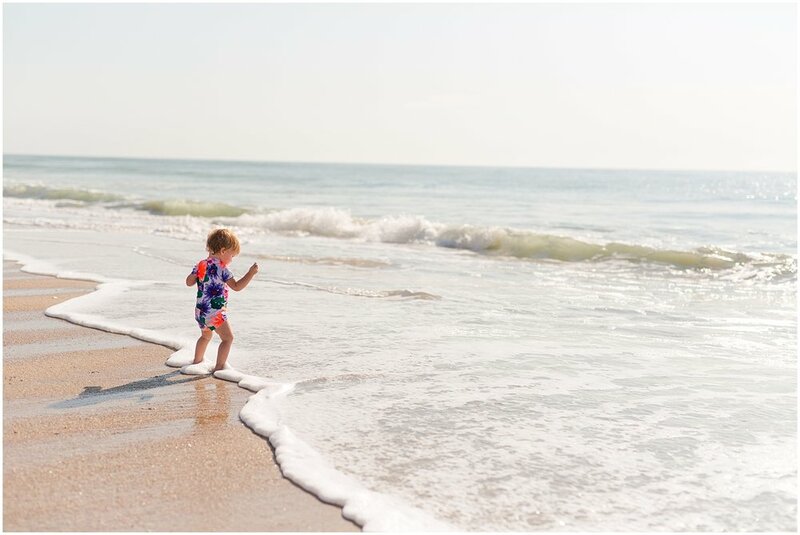 It was nice to just let her loose and watch her walk, crawl, explore, discover seashells. Myrtle Beach was really too crowded to do that much, but she had a ton of space here to chase all the birds she could chase. I hope she continues to enjoy the beach so much as she gets older. Oh, and we didn't realize it when we booked the place, but even the pool was very baby friendly! It had a gradual slope way of entering so Willow could crawl in and out of the pool and play with the fountains all by herself. Our girl is big on independence and so deciding when she got in the pool and when she crawled out made her very happy. As for the island itself, we really liked it. 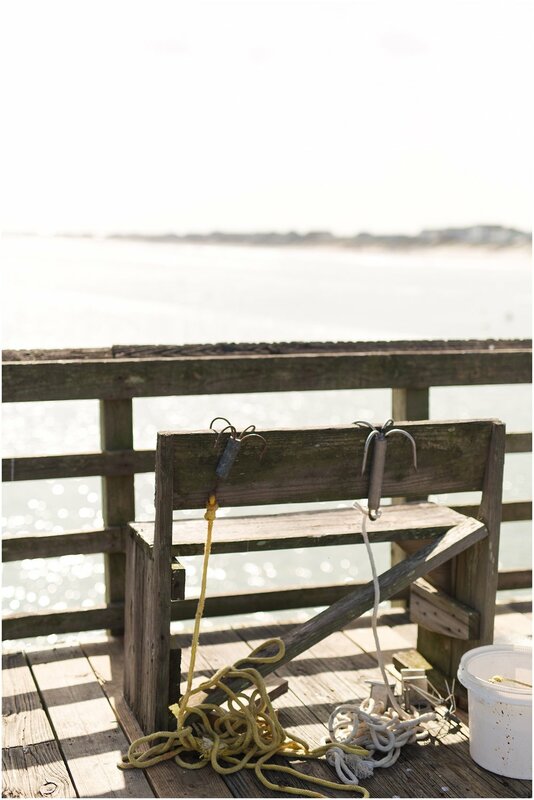 Some people told me that there was nothing to do at Topsail Island, but if you're just trying to enjoy the beach and go out for some nice seafood dinners, it's a great place to go. We even found a Thai rolled ice cream shop one day! 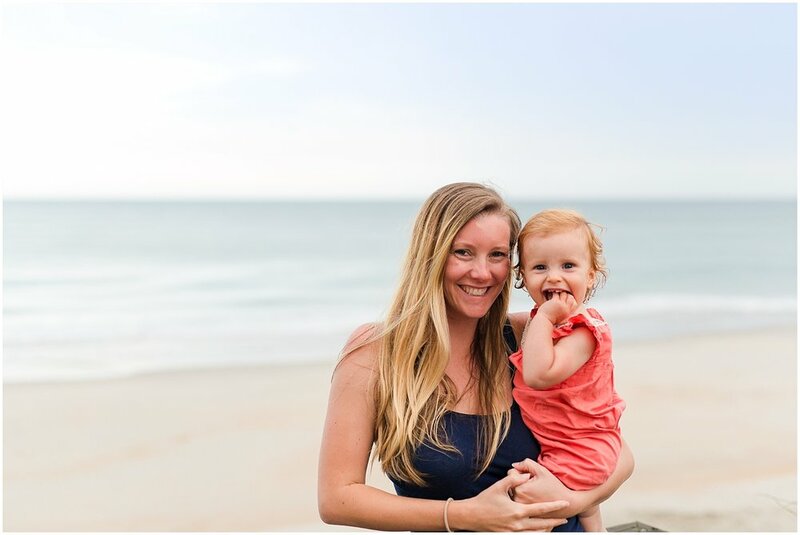 It reminded us a little of the Outer Banks where there are so many local businesses with really kind, passionate owners. And there were a lot of restaurants that were RIGHT on the water. I find that a lot of oceanview restaurants at the beach are still pretty far from the shore itself. Not here, if you wanted to go get your feet wet while you waited for your food, it would be real easy! It was really nice. And Willow was so in love with the seagulls, it was great entertainment for her. I could go on and on, but I will stop here! I'm really glad we went and had our own little family adventure. It was really nice to come home, especially since I've become my mother and like to clean before I leave so that I come home to a clean house haha. It makes me hate all the laundry and bags we lug into the house, which is extra inspiring to get everything put away again! I used to just let my luggage sit there for a week before putting things back where they belonged. But no longer! I can't live without a lot of Willow's things, so she gets unpacked immediately and I maaaay have done five loads of laundry the day we returned. That's normal right? Anyway, we're glad to be back and hopefully Fall will actually begin soon here in Richmond. This heat is getting a little ridiculous and I have a baby with cute sweaters to be worn.